Graduates from all IB World Schools are invited to join regional IB alumni and leadership within the International Baccalaureate to both celebrate our past and discuss how an IB education will meet the needs of future generations. Light refreshments and food to be served for an informal evening event in Geneva, Switzerland on 26 October 2018. Help us plan for this wonderful event by submitting an RSVP and marking your calendar. 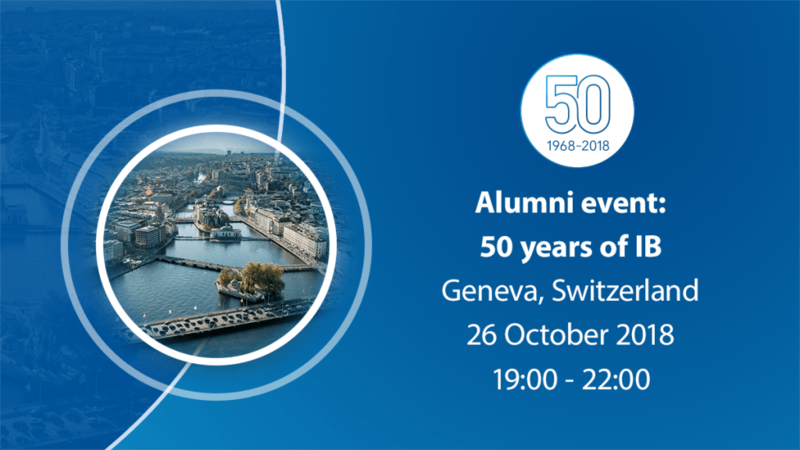 Location: Join us at Le Cercle Des Bains (RSVP reqiuired) in the heart of the “Geneva Soho” to celebrate our 50-year anniversary with regional alumni. 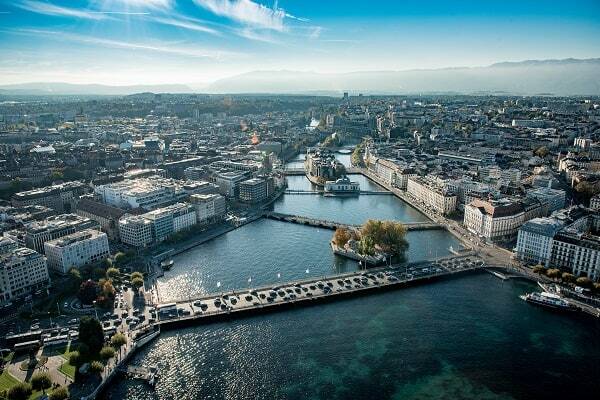 Traveling to Geneva? While the event is a short evening, we have arranged a special rate at the Warwick Hotel for those who may travel from outside Geneva. Details below. Accommodation at the Hotel Warwick Geneva: We have negotiated special rates for participants staying at the Warwick Hotel. The discount includes a standard room for single use at CHF 160.00 per night with breakfast included. To reserve a room at this rate, register for the event, click on ‘accommodation’ in the confirmation page, and download the booking form to provide to the hotel when reserving a room. Please remember that participants are responsible for making their own travel and hotel bookings. To receive discounted rates, we kindly ask that reservations are made no later than 7 October 2018. Share with your alumni network: Use the postcard below to help us spread the word about this event and link to the event registration page. You can also post this tweet with everything included.